NASHVILLE – September 25, 2018 – In a year of celebrating the achievements of women in country music, CMT today announced that Loretta Lynn will be honored with the “Artist of a Lifetime” award presented by Ram Trucks at this year’s all-female “CMT Artists of the Year” event premiering live Wednesday, October 17 at 8:00 PM ET/PT. Academy Award winner and “Coal Miner’s Daughter” actress Sissy Spacek will bestow the award to Lynn, who joins previous recipients of the honor including Shania Twain (2016), Kenny Rogers (2015), and Merle Haggard (2014). "I'm always so proud when I receive any awards for my music, but when I heard it was this year's “Artist of a Lifetime” award it made me really happy,” says Loretta Lynn. “It's an honor to be able to make music that people enjoy and I'm really excited to have a new album coming out. 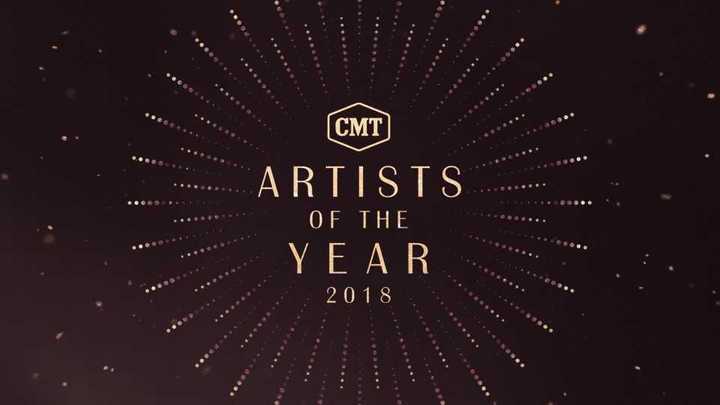 Thank you CMT for acknowledging me with this award and for honoring the women in country music at Artists of the Year." Loretta Lynn has long been established as the undisputed Queen of Country Music, with more than 50 years of recording and touring to her name. A self-taught guitarist and songwriter, Lynn was one of the most distinctive performers in Nashville in the 1960s and 1970s. She shook up Nashville by writing her own songs, many of which tackled boundary-pushing topics drawn from her own life experiences as a wife and mother. "Coal Miner's Daughter," "Fist City" and "Don't Come Home A' Drinkin' (With Lovin' on Your Mind)" are just three of 16 country No. 1 singles. She has sold over 45 million records worldwide. Lynn’s latest studio album, Wouldn't It Be Great, (Legacy Recordings, a division of Sony Music Entertainment) will be released Friday, September 28. Sissy Spacek has been one of the industry’s most respected actresses in a career spanning four decades. Her many honors include an Academy Award, a Screen Actors Guild Award, five additional Oscar nominations, a Grammy nomination, three Golden Globe Awards and numerous critics awards. In 1980, Spacek starred as Loretta Lynn in the acclaimed biopic “Coal Miner’s Daughter,” winning the Oscar and Golden Globe Award for her performance. Spacek also swept the New York Film Critics Circle, Los Angeles Film Critics, National Board of Review, and National Society of Film Critics Awards for her portrayal of the country music legend. Some of Spacek’s other film credits include “A Home at the End of the World,” “The Straight Story,” “Affliction,” “JFK,” “The Long Walk Home,” “Hot Rod,” “Night, Mother,” “Four Christmases,” “Get Low”, “The Help” and “The Old Man and The Gun”. Maren Morris, Little Big Town’s Karen Fairchild and Kimberly Schlapman, and Lady Antebellum’s Hillary Scott. Twitter). CMT is a unit of Viacom Inc. (NASDAQ: VIA, VIAB). For more information, please visit CMT Press.